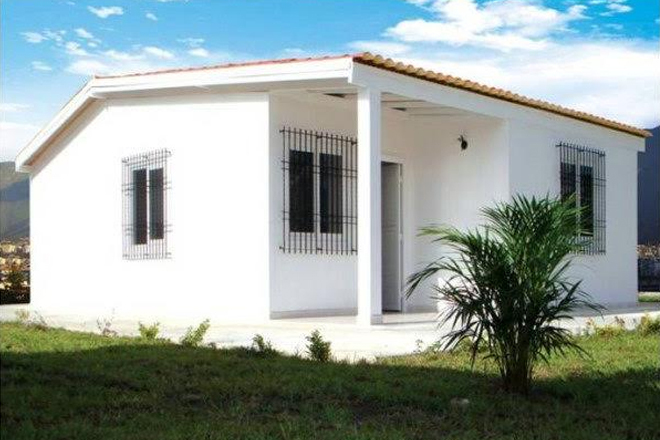 (PRESS SEC) — Fifty “petrocasas” houses from Venezuela are being donated to the Federation of St. Kitts and Nevis by President Nicolás Maduro’s administration. Since Venezuela’s late President Hugo Chávez officially launched the Petrocasa state-owned company on Friday, July 27th, 2007, more than 1.5 million petrocasas have been completed in the oil-rich South American nation. Petrocasas have also been built in other countries, including Bolivia, Cuba, Dominica and Peru. When a magnitude 7.9 earthquake shook Peru on August 15th, 2007, Venezuela donated 100 petrocasas to the country. In 2009, Bolivia’s President Evo Morales committed to invest $80 million in the construction of a petrochemicals factory that would manufacture the petrocasas, using fuel sourced from the Andean Gas Pipeline. Venezuela’s late President Hugo Chávez agreed to help finance the petrocasas project in Bolivia. “When I travelled to Peru because of the earthquake, I was informed that Venezuela had supported with the new [petrocasas], and I was astonished,” Bolivia’s President said. “We are trying, in some departments like El Alto and Trinidad, to make petrocasas,” President Evo Morales added. After Hurricane Sandy made landfall in Cuba in October 2012, media reports out of the country praised the resilience of 100 petrocasas that were constructed in the Santiago de Cuba area through cooperation efforts between Venezuela and Cuba. Those news reports contrasted the petrocasas’ “capacity to take a hit” with the “more than 130,000 other housing units in Santiago Province” that were either “damaged or destroyed” by Hurricane Sandy. Four years later, when Category 4 Hurricane Matthew damaged parts of Cuba, the Bolivarian Republic of Venezuela donated some 500 petrocasas to the country. In the devastating wake of Tropical Storm Erika, Venezuela donated 300 petrocasas to Dominica, while Prime Minister Dr. the Honourable Timothy Harris’ administration in St. Kitts and Nevis donated EC$1 million to its Caribbean neigbour.